There are two semi-permanent rope tows and several portable tows. The two rope tows run parallel in a field behind the village of Allenheads. The tows are erected at the beginning of November and taken down at the end of March. The portable tows are used within the field or on the hill above the field. For a number of years we had a third rope tow on the hill running above the field to the top of the moor. We are planning to put in place new snow fencing on this hillside so that we can again extend our facilites to this steeper and more challenging hill. From < to > Hadaway Man!! The two lower tows are each about 100 metres in length, offering runs of about the same distance. With snow fencing in place, the portable tows running up to the moor will have a length of about 120 metres which, because of the steepness of the hill, can offer somewhat longer runs. The lower slopes are mainly suitable for beginners and intermediate level skiers, however even these provide excellent opportunities for the more experienced to get rid of the cobwebs and loosen up on some of the real white stuff. The upper run is fun for anyone – and certainly challenging for most. One warning! Don’t wear your new expensive, chic ski gear – strong gloves and washable jackets are far more practical with the rope tows. One of the great benefits of the club’s location is the relative reliability and quality of the snow. This is especially true of the lower slopes which lie in a sheltered position with nearby woods acting as an excellent snow fence, helping to build up good depths of snow. The position and lie of the lower field is such that enjoyable skiing can be had with only limited snow cover – a couple of inches can suffice! Whenever there is snow, we run as many tows as possible during the week and at weekends. As we are a club and all the work is done by volunteers, we can’t guarantee the tows will run every day there is snow but, thanks to some key helpers, we barely miss a day when skiing and boarding are possible. Don’t expect Alpine restaurants and terraces for sun bathing – saying that, our cabin does have its own terrace! 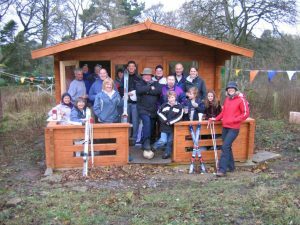 The club’s facilities have been improved a few years ago with a new cabin, with chairs & its own terrace, replacing the old, rather basic hut with its wooden benches. The new cabin provides a very pleasant spot to eat your lunch, have a drink and watch everyone else glide (or fall) down the slope. 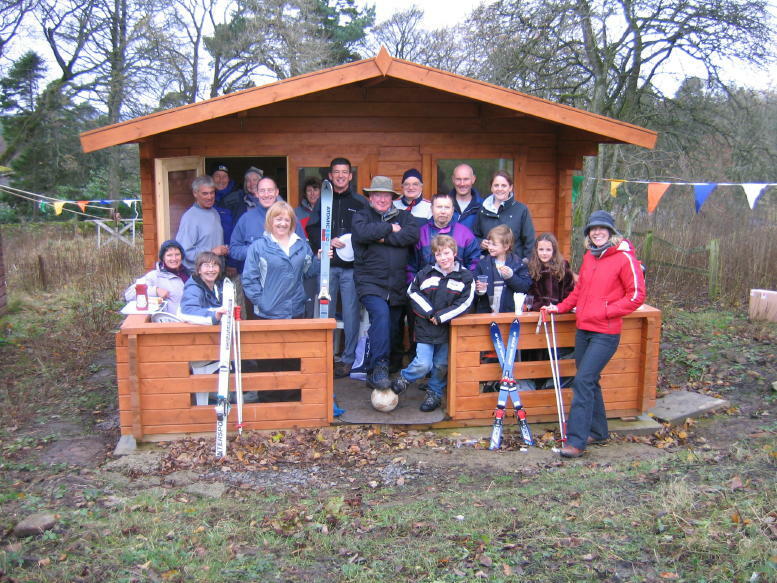 The village of Allenheads, which is all of a 150 metre walk away, has a variety of additional facilities. It provides toilets, the excellent Hemmel Cafe (It’s been tripadvised!) which always has a good range of hot & cold food. During the winter, the cafe is open every day (except Wednesdays) from 10.00 to 16.00. There is also the Allenheads Inn which offers the obligatory good drink in a remarkable old building. They also serve food at times – check with the pub for more information. The village also offers other places of interest. See the guide to the North Pennines and to Allendale.